Sealcoating seals the asphalt pavement, preventing the oxidation and erosion of the top layer and replaces fine particles lost from the asphalt surface due to oxidation on older pavements. It also resists gas, diesel fuel, oil, salt and chemical penetration which will break down the bond between the aggregate and the liquid asphalt. It will extend the life of your parking lot. Curb Appeal – Sealcoating your asphalt enhances your property’s clean look and makes it more appealing to customers. Endurance – Sealcoating prolongs the effects of everyday traffic, resists oils, gas spills or drips and UV rays from the sun. 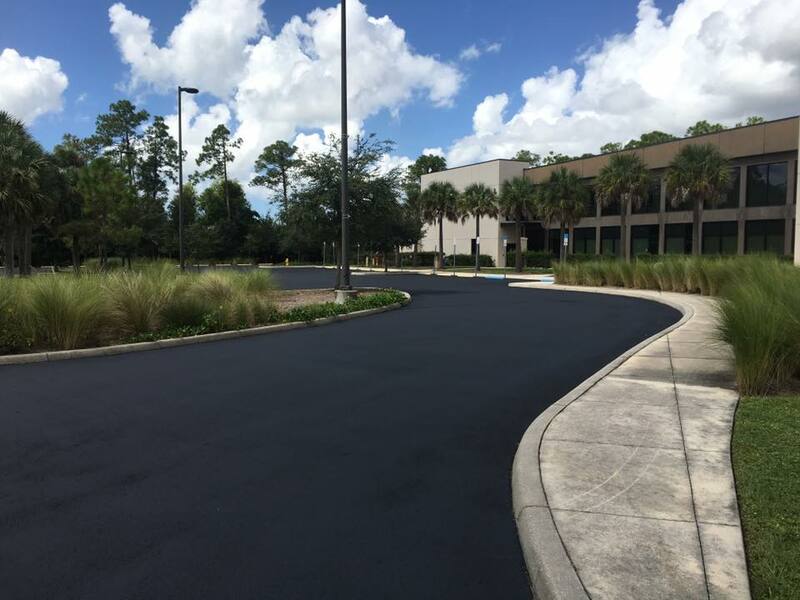 Cost Effective – Sealcoating increases the life of your asphalt and helps prolong any costly repairs. Sealcoating for pennies today saves you dollars in the future. This entry was posted in Fort Myers Parking Lot Maintenance, Our Services, Sealcoating Fort Myers, Striping & Marking. Bookmark the permalink.